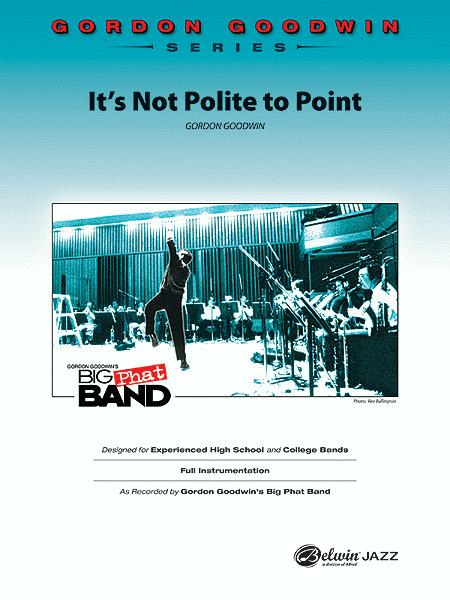 As Recorded by Gordon Goodwin's Big Phat Band (Trombone Section Feature). Composed by Gordon Goodwin. Jazz Ensemble; Performance Music Ensemble; Single Titles; SmartMusic. Gordon Goodwin Series. Jazz. Score. 32 pages. Belwin Music #00-38709S. Published by Belwin Music (AP.38709S). As recorded by the Big Phat Band on the CD That's How We Roll, this swing chart features the trombone section. It's not crazy hard to play, but will require some endurance from the 'bones. Solo changes provided for trombones 1 and 2, alto, tenor, bari, and trumpet 4. Lead trumpet hits a high G but otherwise it's not too demanding. This title is available in SmartMusic.